Did you think I forgot today? :) I didn't... I'm just riiiiight on the verge of falling behind. Oops. But I'm here, and today we're kicking off a week that's all about the ladies! Starting with one of my very favorite tote bags! I don't know about you guys, but I have a lot of bags. A lot. They just speak to me. 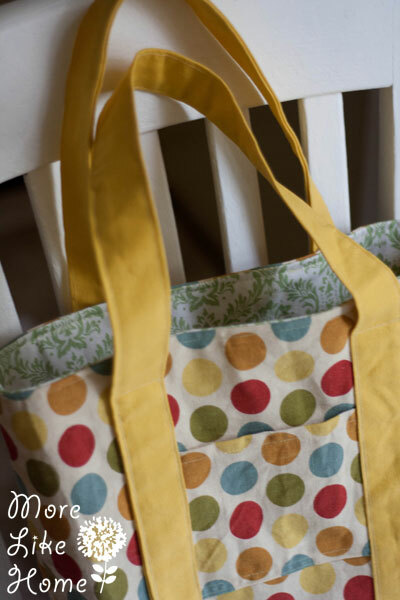 But one of my very favorite bags is a small, striped tote. I drooled over it at a thrift store and my sister snatched it up for Christmas. And it's the perfect size. 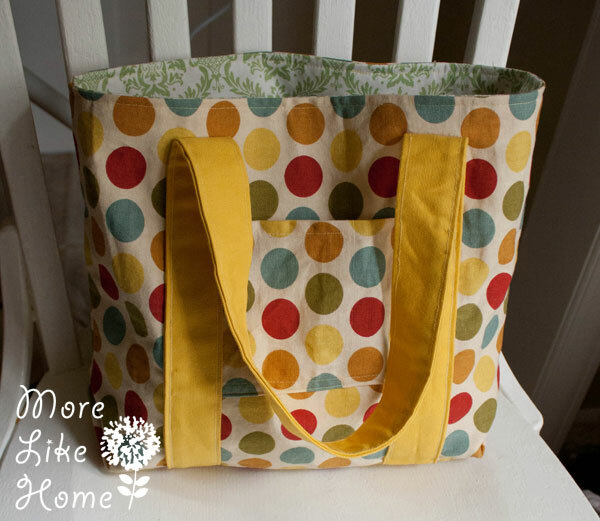 So I used it as the inspiration for this new tote pattern! I changed a few things like the way the straps are attached just to make it a little spiffier. But that beautiful perfect size is the same. The finished size is about 11" wide x 9" tall x 4" deep. Here are some new pics for scale (thanks for the suggestion!). I'm about 5'2" and a little bit pregnant. :) We've been using this as our library bag. 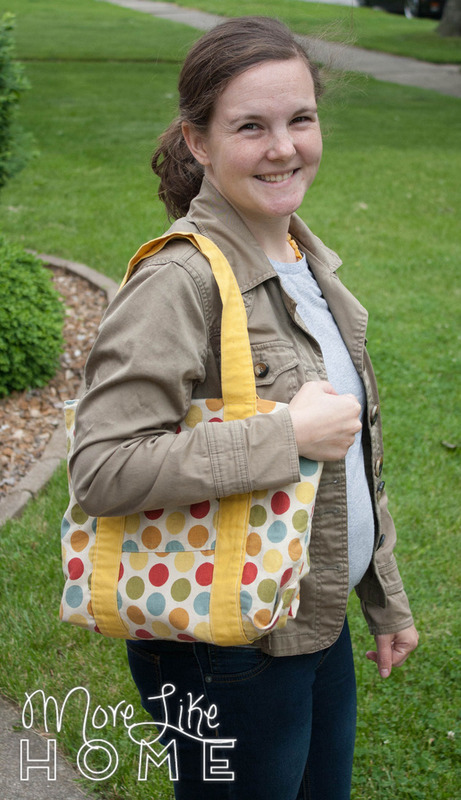 It's small enough to use a purse, but big enough to stuff in a couple diapers and wipes while I run errands. 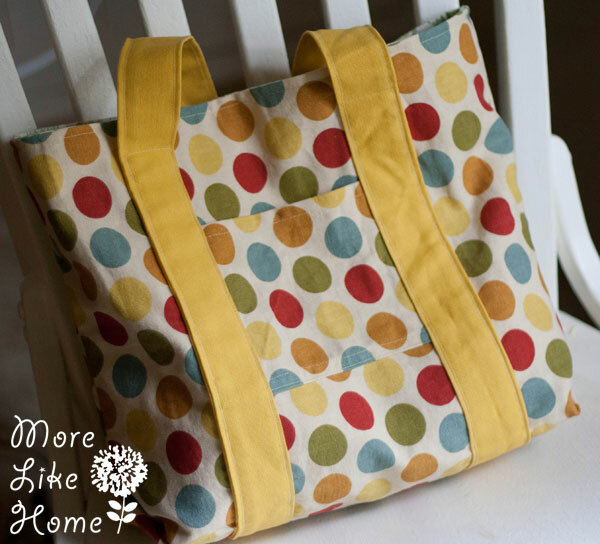 It has pockets inside and outside, and deep gussets for lots of usable space. 3/8 yard duck cloth or canvas for the straps. 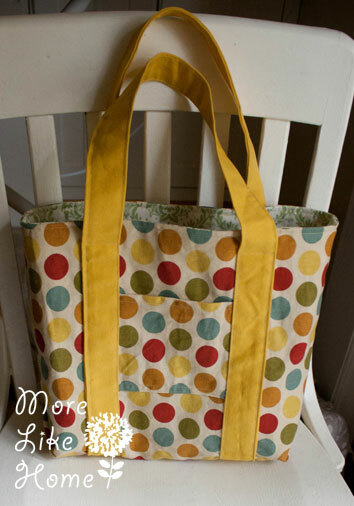 2 body pieces - 16 x 14"
2 pockets - 6.5 x 6"
2 straps - 4 x 45"
Once your pieces are cut out, go ahead and make the straps. 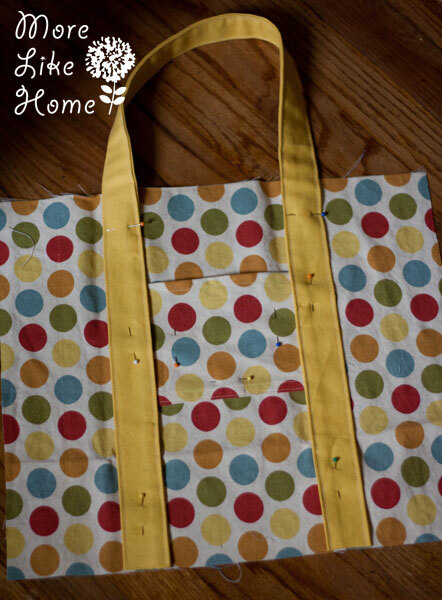 Fold each strap in half lengthwise and press. 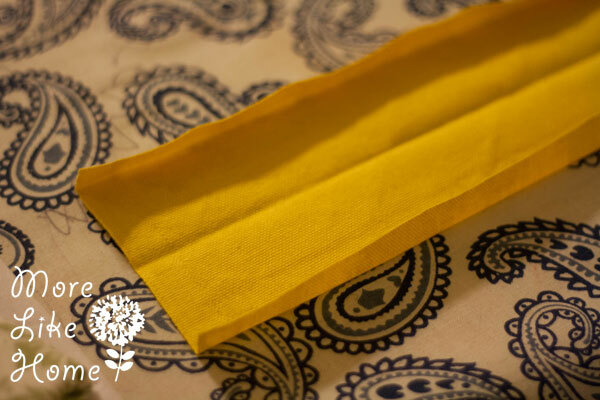 Open them up and press the long edges in 1/2" toward the center crease. Fold along the crease again and pin. Then sew right along each long side of the straps. Now prep the exterior pockets. 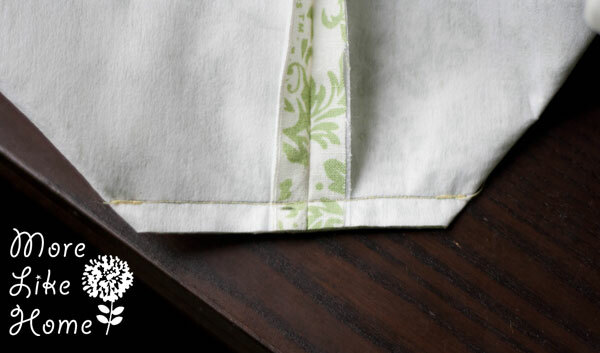 Do a simple rolled hem on both 6" sides of each pocket. Just fold the edge under 1/4" and press, then fold under 1/4" again and press. Apply the interfacing to the wrong side of the exterior body pieces. In the pictures it is applied to the lining pieces of this bag, but I've found I prefer the feel of the bag when it is applied to the exterior. Now pin the pockets to the exterior body pieces. Lay the body piece so the 16" edges are the top and bottom. 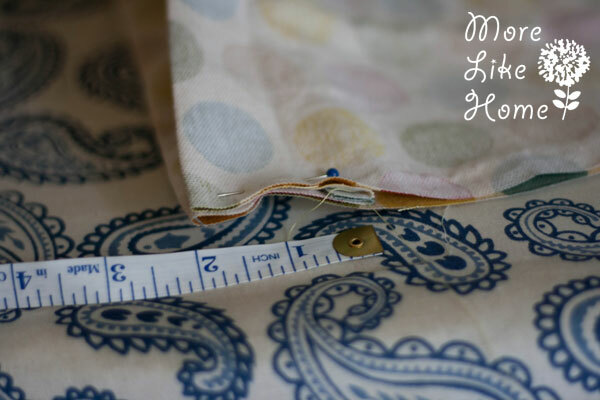 Then lay the pocket on so the hemmed edges are the top and bottom. 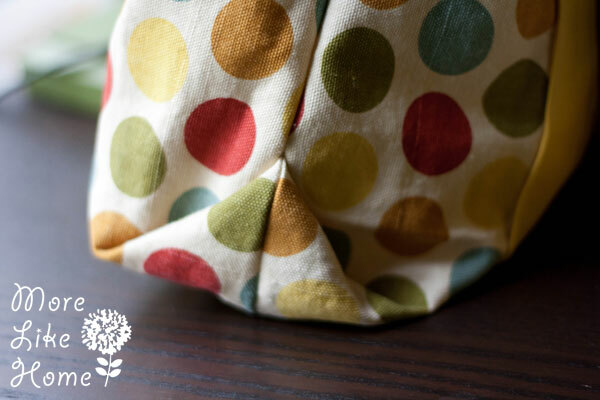 Line the pocket up so it is centered across the bag with 4.75" on either side, and set it down about 3.75" from the top edge of the bag. Pin it in place. 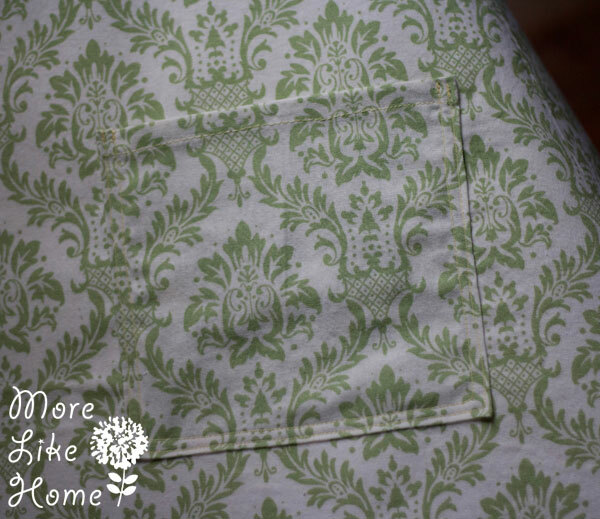 Repeat for the other exterior pocket. Stitch right along the sides and bottom edge of the pockets to attach them. Now line up the straps. On one exterior body piece, a strap so it is set in 4" from from the left edge, and the end of the strap is flush with the bottom edge of the bag. Pin it in place. Then mark the strap 1/5" down from the top edge of the bag. I just used a pin to mark the spot. Line up the other end of the strap with the bottom of the bag and set it in 4" from the right side (make sure the strap isn't twisted at the top!). Pin it in place, and mark 1.5" from the top edge again. Repeat with the other strap and exterior body piece. 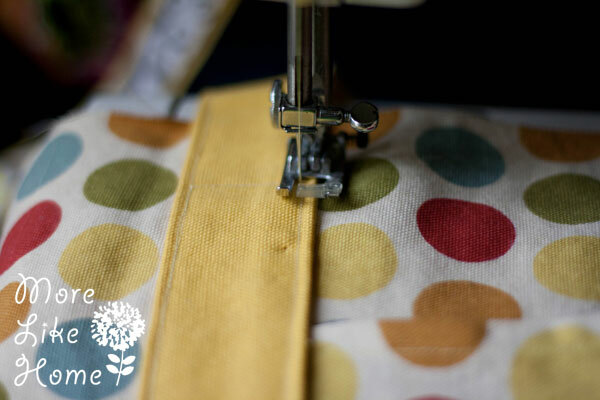 Starting at the bottom of one strap, sew right along the stitching line on the strap up until the 1.5" line you marked with a pin. When you get to the pin put the needle down, lift the foot, and turn the corner. 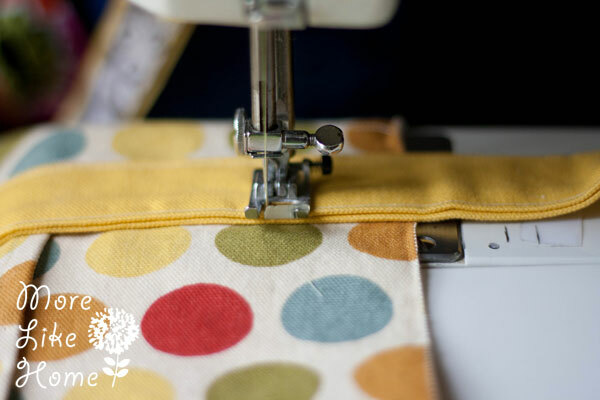 Put the food back down and stitch straight across the strap until you reach the other stitching line. 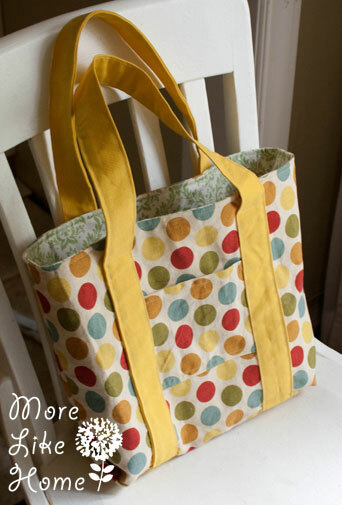 Turn the corner again and sew back down that stitching line to the bottom of the bag. Repeat for the other straps. Once all the straps are sewn down, line up the two exterior body pieces with right sides together and pin just along the top and bottom edges. 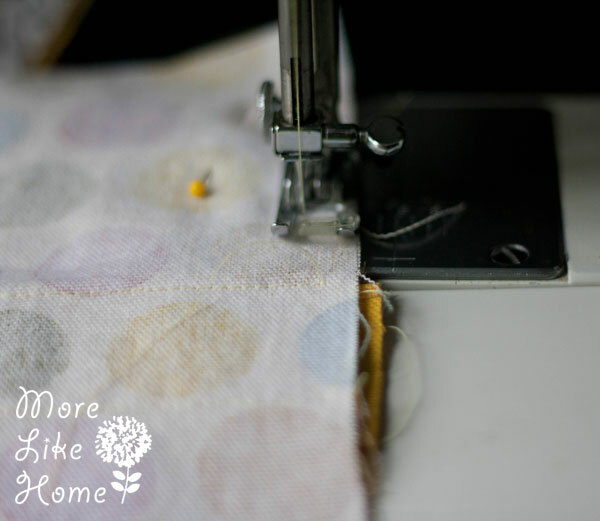 Sew along the bottom edge with a 1/2" seam allowance. Now we're going to make what I like to call a "fancy gusset" on the bottom. 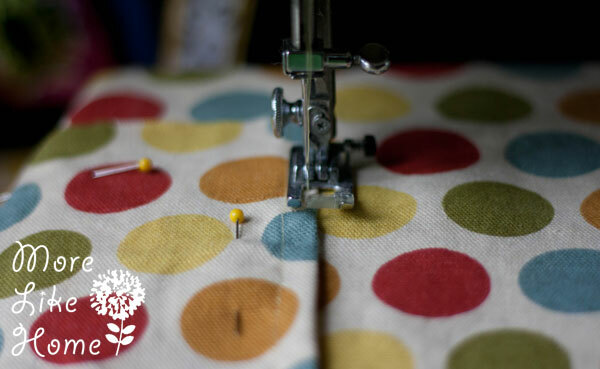 On both ends of the bag, tuck the bottom seam up between the body pieces 2" and pin it in place. Make sure the top of the bag stays even. Maybe this next pic is a better angle of that. 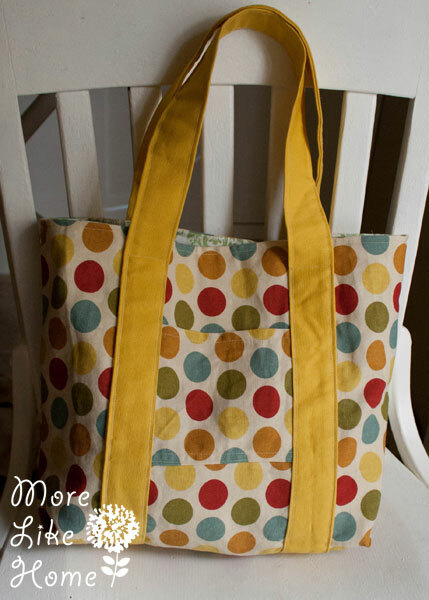 Once both ends are pinned, sew along both sides of the bag with a 1/2" seam allowance. Now make the interior pockets. 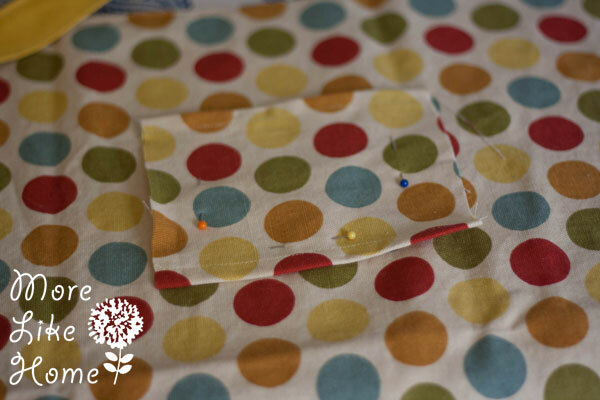 Fold the top edge o the pocket down 1/4" and press, then 1/4" again and press. Stitch right along the folded edge. Then fold the other three edges under 1/4" and press. 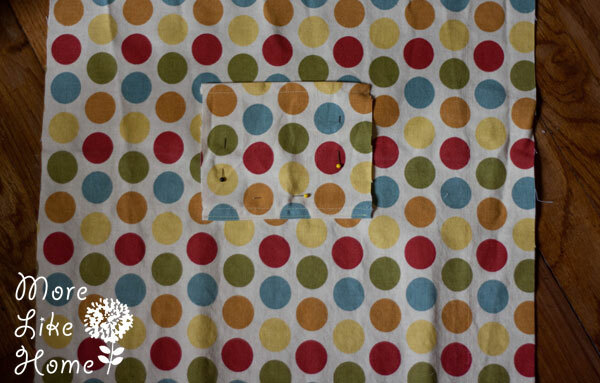 Lay the pocket wherever you want on the lining (I did the same as my exterior pockets. You can do more pockets or different sizes to meet your needs). 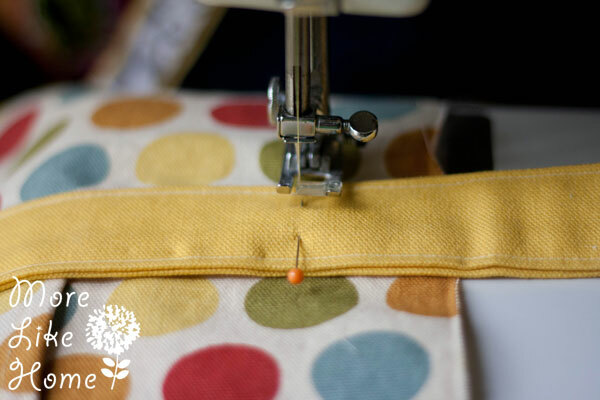 Pin them in place, then stitch right along the side & bottom edges. 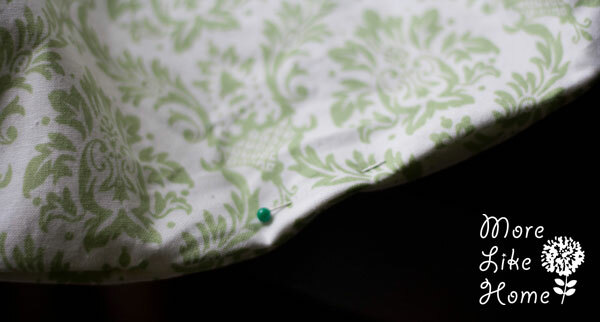 Then I like to do a second line of stitching about 1/4" in from the edges. Now line up the body pieces with right sides together and pin them. 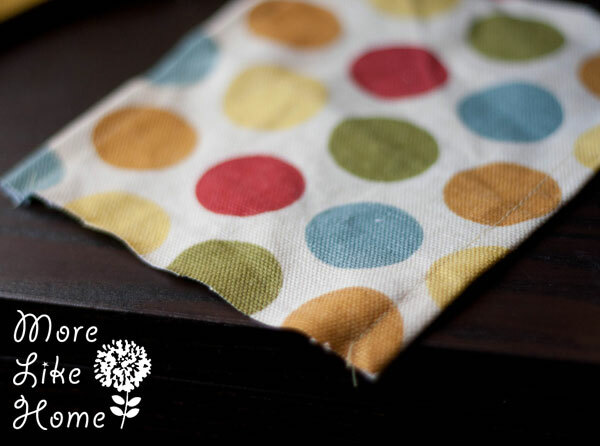 Stitch along the side and bottom edges with a 1/2" seam allowance, leaving a 4" opening at the bottom for turning. 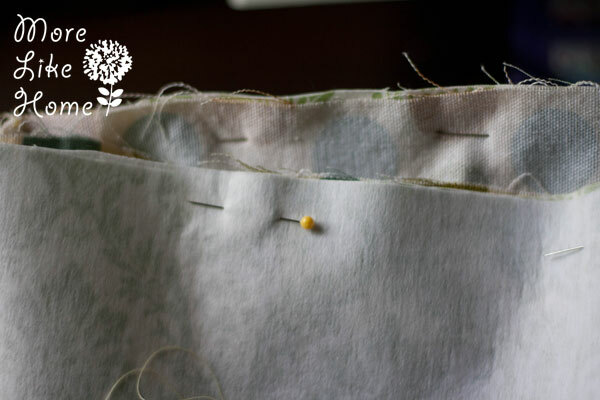 To make the interior gussets, flatten each bottom corner out to a point with a seam on top and bottom and pin them (you know they are lined up if the pin goes right through the seam of the both the top and bottom seams). Measure in 2" from the corner and make a mark. Then draw a line across the corner at that mark (the line should be 4" long). 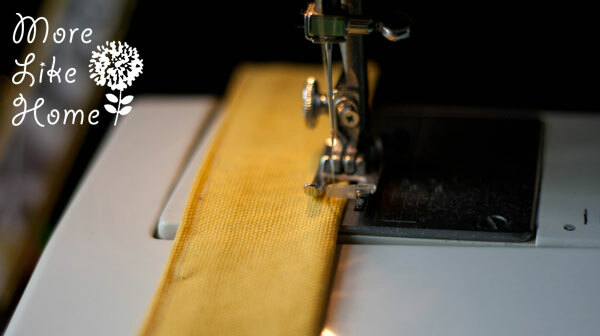 Sew right along the line. Then clip off the corner leaving about 1/2" of seam allowance. 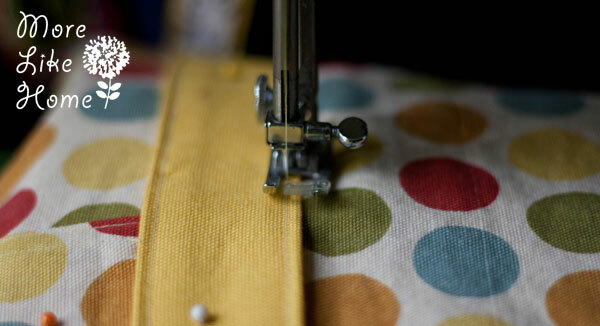 Keep the lining inside out, and slip the bag exterior (right side out) inside the lining (right sides will be together). 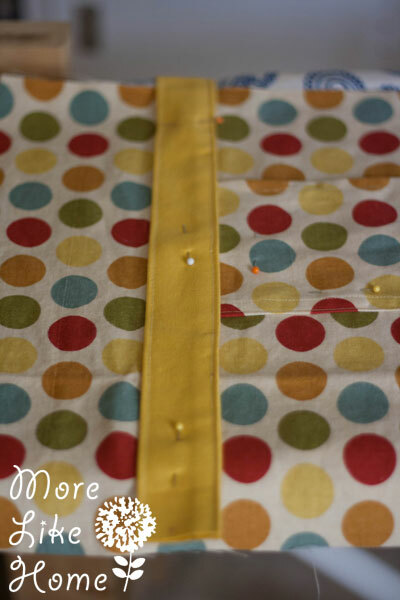 Line up the seams and pin around the top edge. 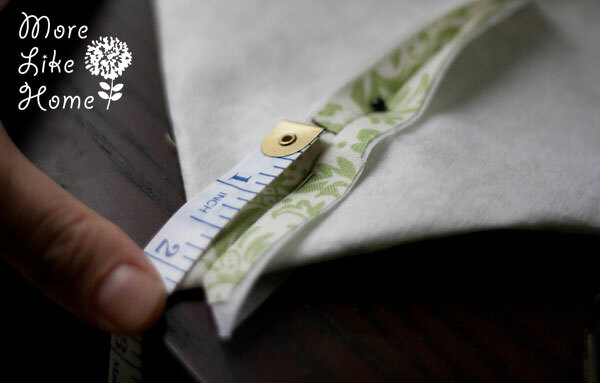 Sew around the top edge with a 1/2" seam allowance (make sure you don't hit the straps). Flip the bag right side out through the hole in the lining. 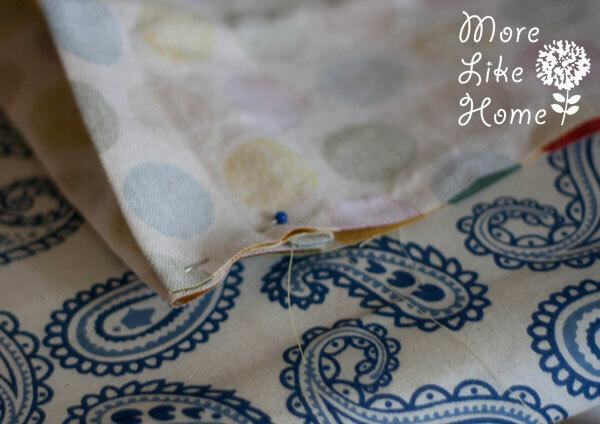 Tuck the fabric in at the opening and pin the opening closed. Stitch right along the edge at the opening to close it up. Tuck the lining down into the bag. Pin around the top edge. 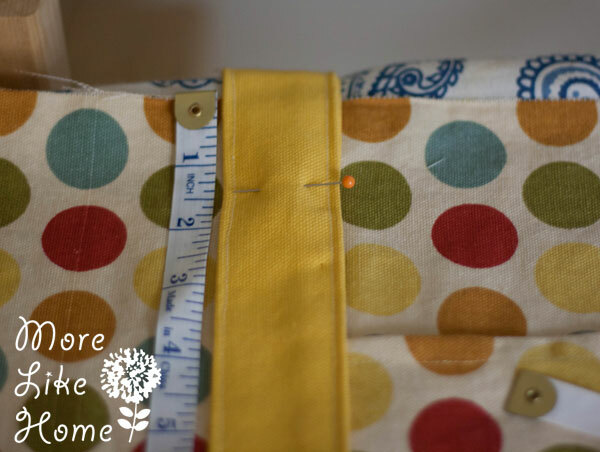 Sew along the top edge with a 1/4" seam allowance. 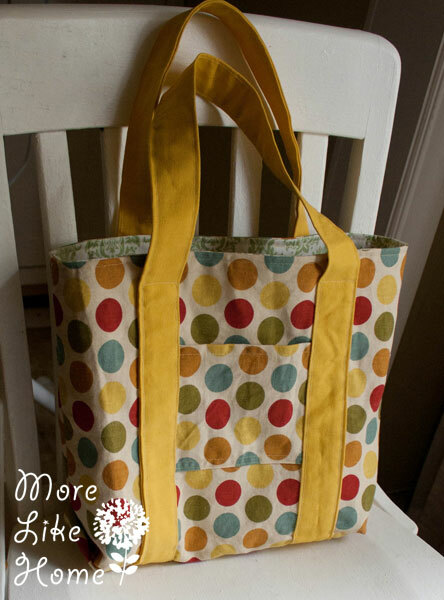 You can give the bag as-is, or fill it with gifts! Try craft supplies, books, baking utensils, or gardening tools & seeds. Here is my bag packed with my wallet, keys, phone, wipes, a diaper, sippy cup, and a little jacket. With plenty of room to spare! 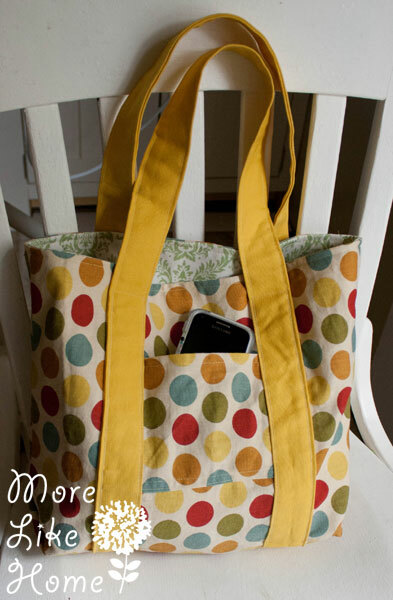 And the outside pockets are perfect for my phone and for keeping my grocery list & pen handy. 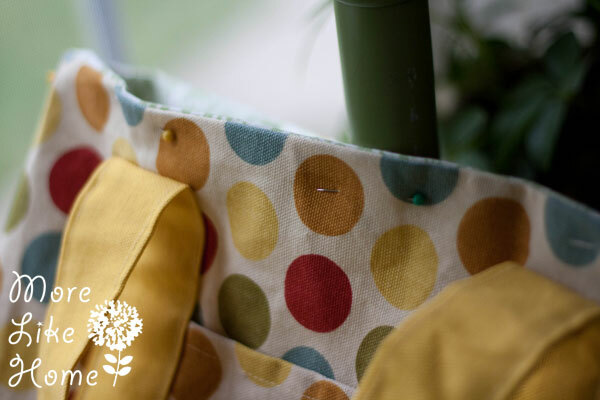 And really guys, if your Joann Fabric has a remnant bin you should check it out! Ours always has the remnants 1/2 off, and when I bought these they were an additional 20% off of that! 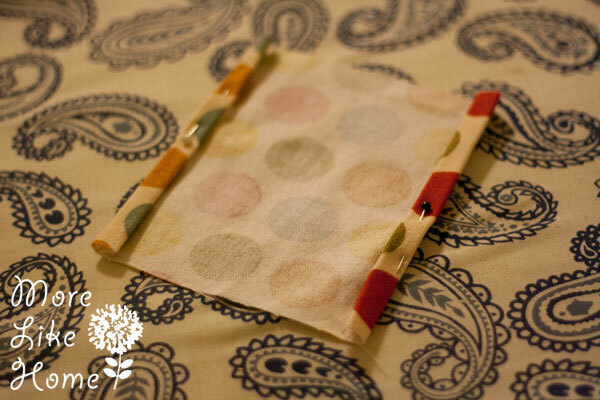 And I even have enough left over for a smaller project (polka dot checkbook cover? I think so). I love this! 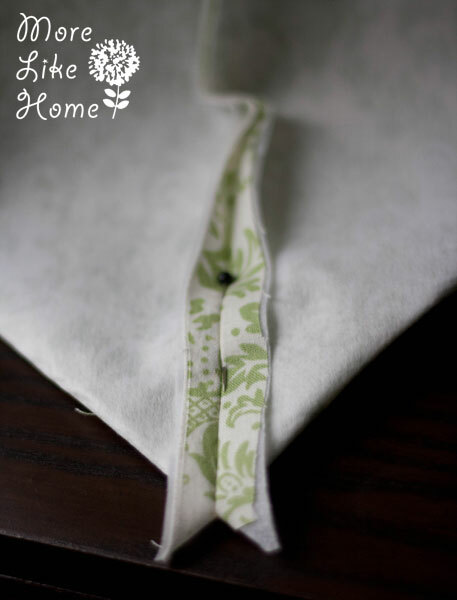 I might even try this with my very limited sewing skills. Go for it! At least it's all straight lines, right? ;) I'd love to see pics if you make one! 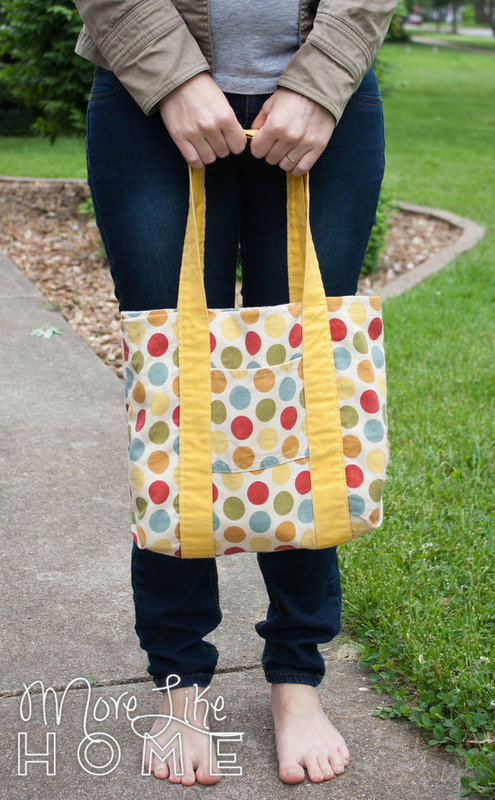 I am in love with this bag and am heading to the fabric store today to find fabric to make it. I hope my basic sewing skills hold up to create this! Love this! 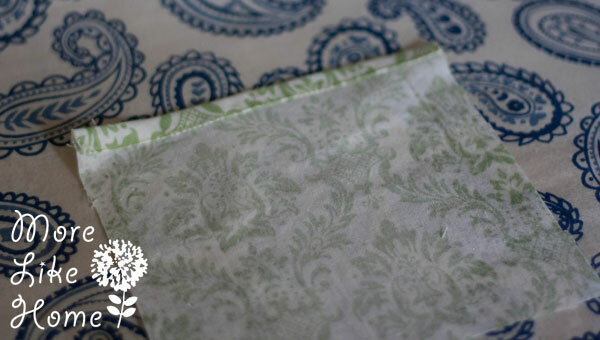 What type of interfacing did you use? Thanks! 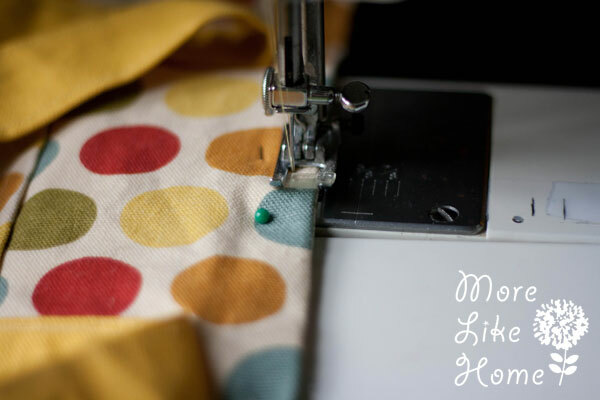 I used a medium weight sew-in interfacing. Iron-on is easier to wrangle, but I'm thrifty. :) You could use a heavier weight if you want your bad to hold its shape better. Have fun, this is still one of my favorite bags! I absolutely love the polka dot bag. I love bags and have them almost on every door knob. I am a polka dot nut. I have 6 drawers filled with polka dots. Could you maybe share a photo of the bag on someone's shoulder or in hand? 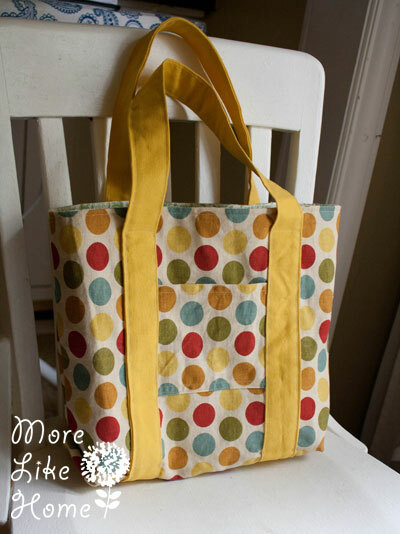 I made a bag once from a tutorial (it was a good tutorial) but it ended up being a lot smaller than I was hoping for. Thanks!! I've had that same problem! Thanks for the suggestion, I just finally got pics taken today and added them in the post. Enjoy! I do not have any duckcloth in house right now I like for this project. 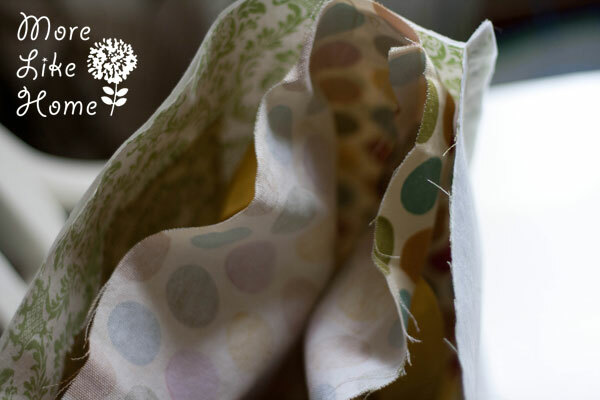 Has anyone used quilting cotton for all pieces and been successful? I need this for a gift for a 10 year old girl. And, we do not have a regular fabric store in town. I used this as a base guide for my tote I just needed to make it bigger to hold more crap haha. Thank you for the tutorial! Oooo, that is a great idea! I'll have to give it a try, I like the sound of having my favorite bag in all the sizes. :) I'd love to see a pic if you have one! I just used this pattern, altered a bit, but it was perfect! Thank you so much! hi, I just finished mine..my very first bag. I just got a sewing machine for my birthday, that's why. ;;;) Thank you sooo much for your pattern, really helps for beginners like me. will send the photo to facebook. That's great! 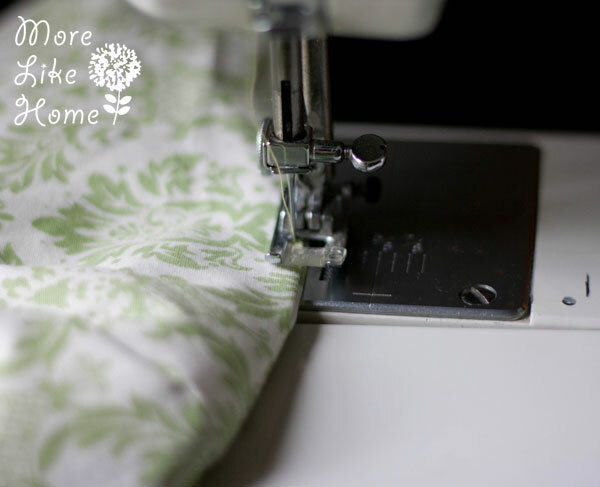 Hope you love your new sewing machine! This is a wonderful tutorial. Thank you so very much for taking the time to do it. I would never have figured it out without the pictures! I love this tutorial! You speak my language for sure! :) I'm having trouble wrapping my mind around the fancy gusset...so you have another post or more in depth info on it? I just can't seem to understand how to do it! Hi! I don't have another post about it, but I may need to make one. I did a quick google search looking for a video I could link for you and I can't find anything! Sorry I don't have more help at the moment. Maybe if I knew the official name for this style of gusset I would have more luck! Hi! 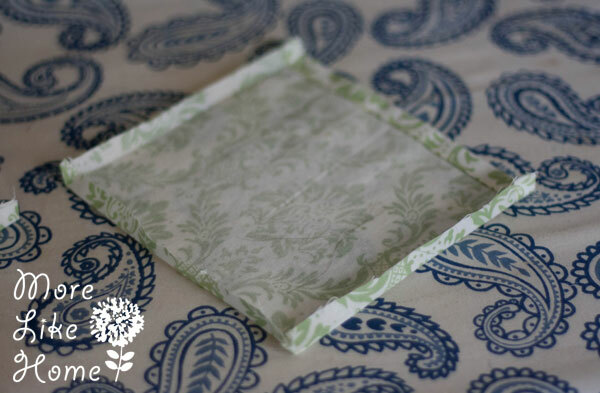 Love this tutorial, almost finished with it... but it's turning out a smidgen smaller than it looks in your pictures! Sorry to hear that! You're not the first person who has said it turned out smaller than they expected. Maybe I need to try some different pictures to show the size better. No, it won't be much harder at all! 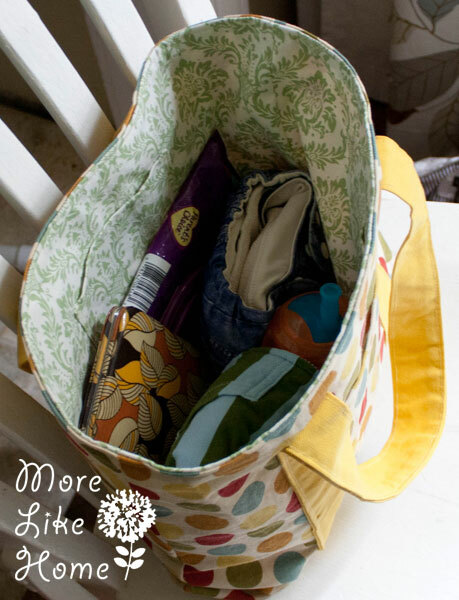 You can follow the steps to make any size bag you want. :) If you make it larger I would change a couple things to fit the proportions. You'll probably want to make the exterior pockets a couple inches wider so the straps can be a couple inches farther apart. Also maybe try making the gussets deeper (5-6" instead of 4"), but that's more personal preference. Have fun! Hello. I'm desperately stuck on how to do the exterior fancy gusset. I just sewed the bottom of exterior fabrics. Thanks for this beautiful tutorial! 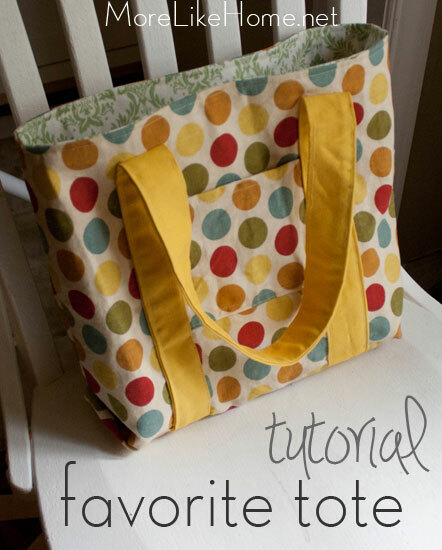 Love this tote tutorial! The directions were easy to follow and the result was great! 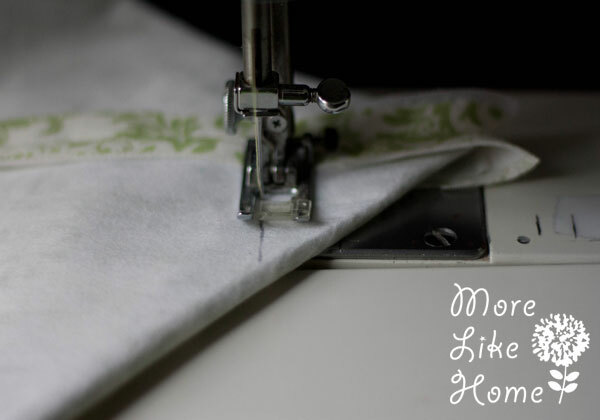 I ordered my fabric from here https://www.canvasetc.com/product-category/cotton-duck-canvas-fabric/ and got the 10% off for new customers discount at checkout! Great Tutorial. Your illustrations were very easy to follow. I really liked making your fancy gusset. Very clever!!! 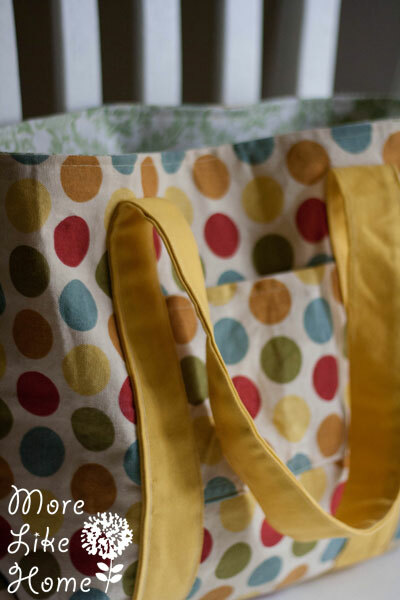 And looks so cute on the tote! Thanks for sharing this wonderful tutorial!! !